I’m still working on Dad’s Parson Gray “Samurai-ish” quilt. This is the back of a strip of 300 squares that will be the middle section of his quilt. The finished squares are about 3″. Lots of pressing involved here, but I’m loving the results. 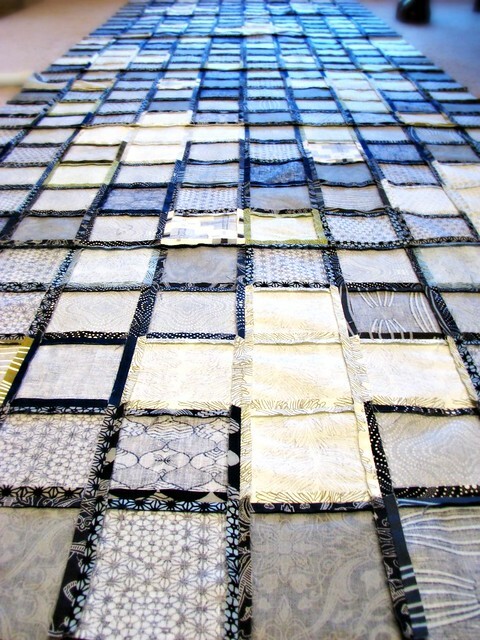 So far, I have 720 of the 960 squares sewn into larger blocks. The end is in sight! Gorgeous!! Hopefully there was some strip piecing involved! The pressing will definitely pay off in the end. No strip piecing! I’m crazy to do it this way, aren’t I?